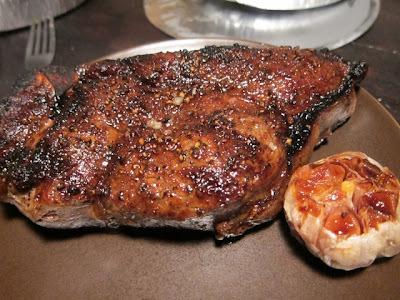 Last night Stacy brought me a steak from the Strip House. It took a lot of will power not to eat the whole thing, but I knew it would have caused a lot of pain if I had. 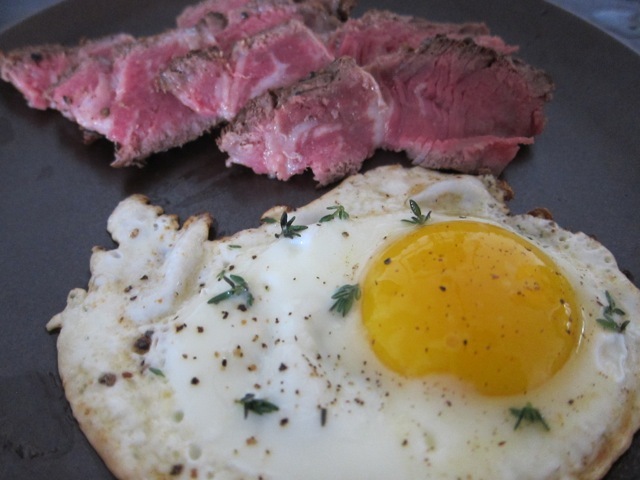 For breakfast I had leftover steak and a fried egg.